For five years, my friend Knut and I ran monthly liquor tastings. Everyone would pay $20 in advance, and then we’d buy liquor and cigars with the money. The smallest party we had was four people; the largest tasting involved 15 bottles of bourbon, all named after people who had played significant roles in American distilling history. Before each tasting we’d have a pot-luck dinner, then Knut would give a 90-minute lecture about whatever it was we were drinking, and then everyone would get a tiny sip from each bottle so they could taste the liquor without getting drunk. Finally, it would be open bottle, and Knut and I would keep the leftovers. It was a great way to stock six different bars in a two-story house with some of the best liquor ever made. I miss Knut a lot, and the tastings; they were probably the most valuable gatherings I’ve had the privilege of participating in. And on days like today, I miss him, and everyone else in Cleveland, a whole lot. 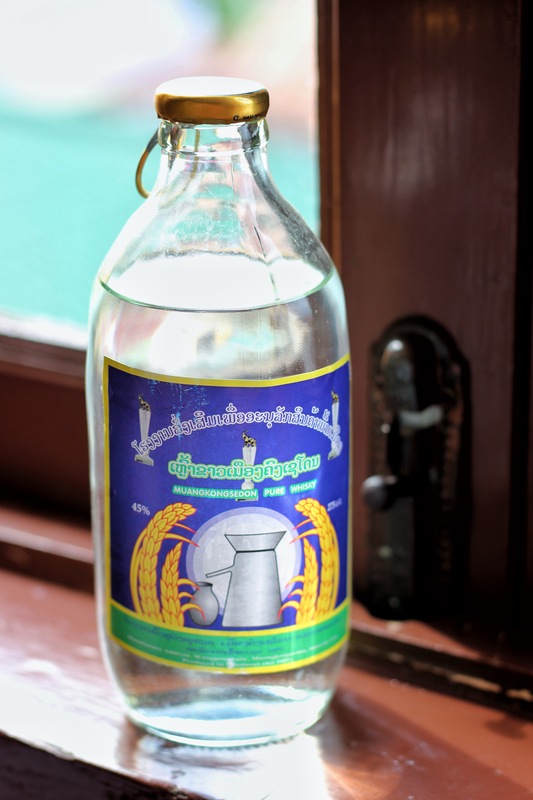 Today, in a trucker stop in rural Laos, I found this magical rice moonshine “whisky,” $.60 for 275 ml, 45% ABV. It has a one-use pull-off cap so that you just have to drink the whole thing if you open it. I haven’t popped the cap yet, but when I do, I’m going to toast those magical nights we spent listening to Knut explain the technicalities of distillation and aging, the murmurs of approval or disgust from guests after each toast, and the dear, dear friends we all made along the way. Indeed Andrew, those were good times. When you crack that bottle, send me a text and I’ll raise a glass with you from afar. Be sure to let us know how it tasted old chap. It was worth every Kip.